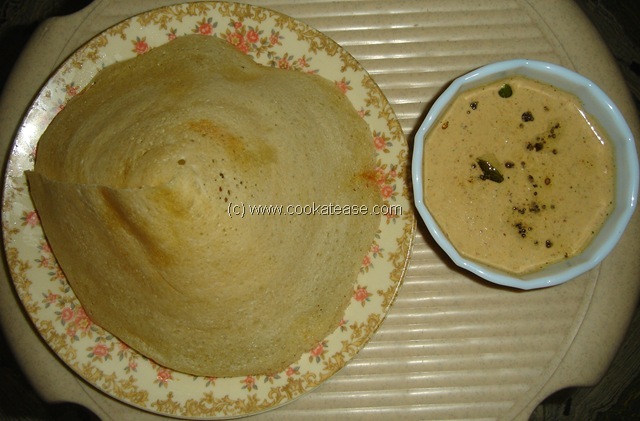 How to make Cone Dosa ? 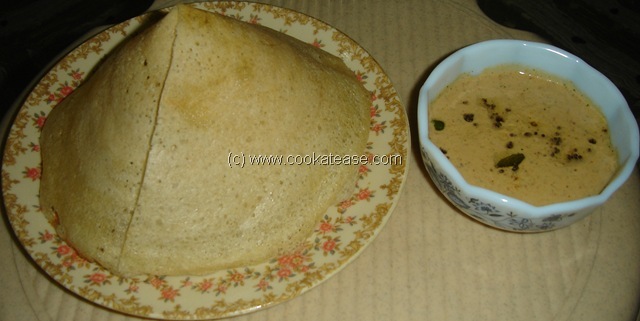 Plain dosa is commonly used dish in south India. 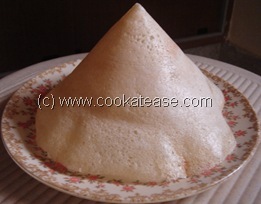 Making a cone dosa is easy and looks attractive to children. Take a non-stick griddle (tava), grease it with little oil and heat it. Spread one ladle dosa batter in it to a thin round and cook. Use a spatula, to change side and cook till crisp. 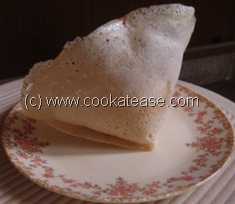 Cut crisp dosa, radially as shown and roll it as a cone. Serve with Chutney, Sambar. 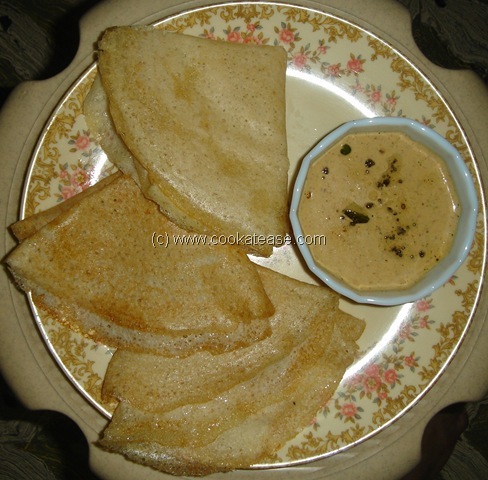 To save time, you can make plain dosa also and serve. Use non stick tava to consume less oil and to cook faster. 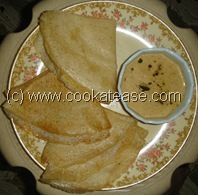 Dosa has to be crisp, to make it as a cone. As you have to use your hands to roll it as a cone, it is unsafe to roll on tava; keep it on a tray and roll.